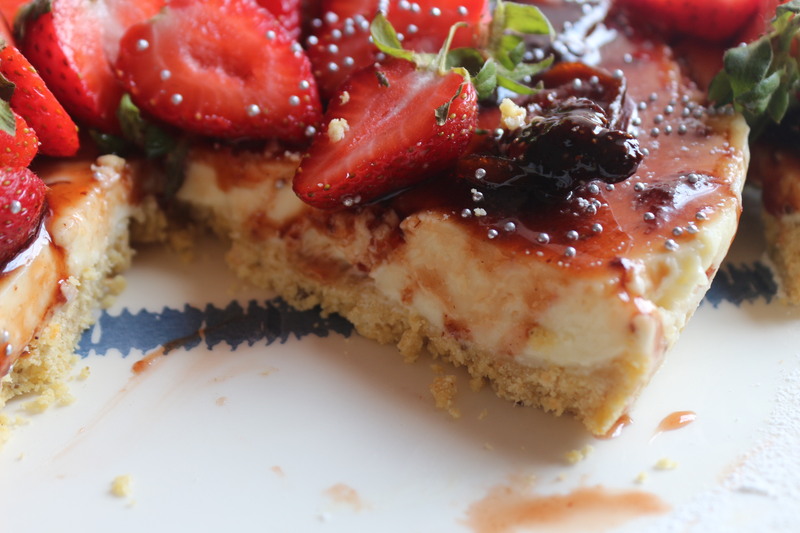 I absolutely love the indulgence of cheesecake! 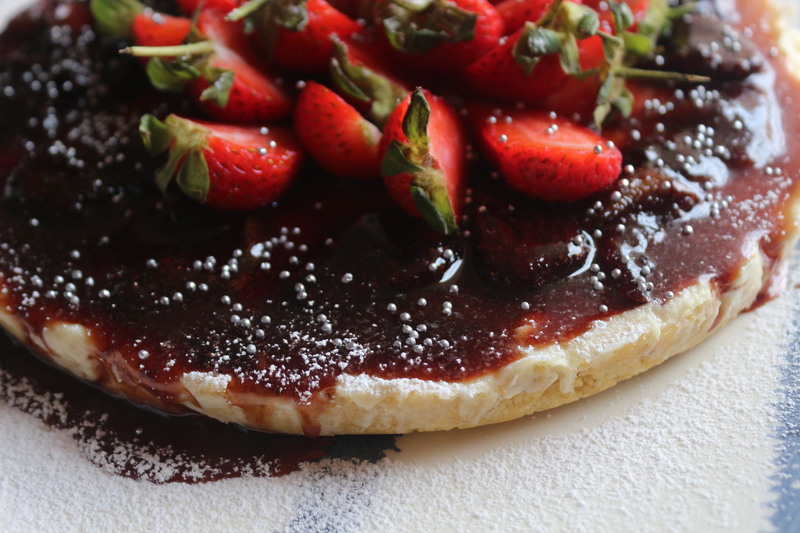 The creaminess of the cheese, and the sweetness of the strawberry! A perfect combination. I do think I’ve found the perfect ingredient for an incredible base that contributes to making this classic, legendary! The new rusks they introduced come in gorgeous flavors like Bran and Muesli, as well as my personal favorite Aniseed! That’s what I used to make the base for our cheesecake. They are soft enough to crush with ease, and the liquorice like taste of the aniseed goes so well with cream cheese! I absolutely love it, and it’s definitely going to be on my Christmas table! 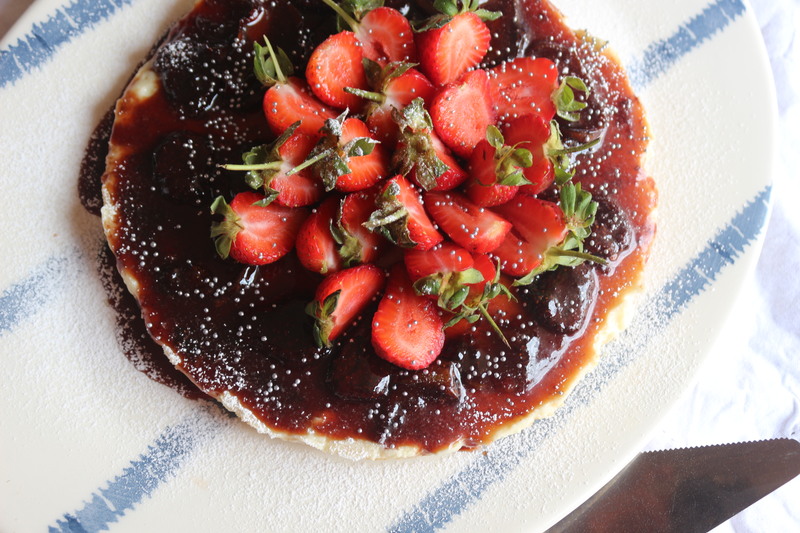 Take one punnet of Strawberries and clean, slice in half and add your sugar, balsamic vinegar and water and simmer on A slow heat until you get a jam like consistency. Set aside. Crush your Aniseed Rusks until they are fine, the mix together with your melted butter, and press into a pie dish. Make sure the crust is leveled and bake for 5 minutes at 100 degrees. Then set aside. Soak 3 of your gelatin sheets in cold water. In a mixing bowl, beat your room temperature cheese until it’s smooth and lump free then add your condensed milk and mix. Remove your sheets from the water and gently squeeze the water out, then mix the softened sheets with a quarter cup of hot water, mix and pour into cream cheese mixture, stir well and pour into Rusk base. Then store in the fridge for 4 hours. 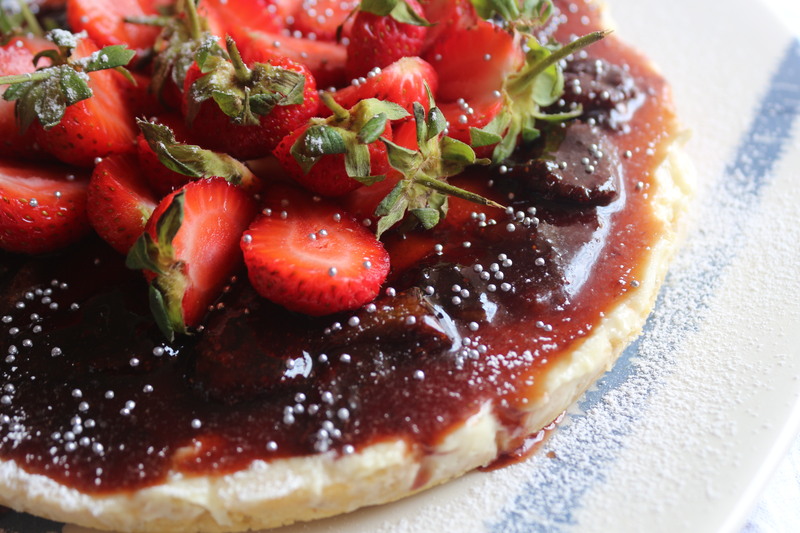 Once it’s set top with your balsamic strawberries, and a few fresh berries to decorate as well! I really enjoy this with a glass of white wine! I hope you do too! Previous Post Cocktail Pies with Creamy Nola Dip! Next Post Crispy Angel Fish..